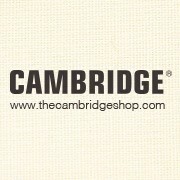 Thanks for joining our Cambridge Fan Page – we’re happy you’re here! This page is designed for you to share your comments with us and the other members of this community. We love hearing your thoughts and the feedback helps us serve you better.